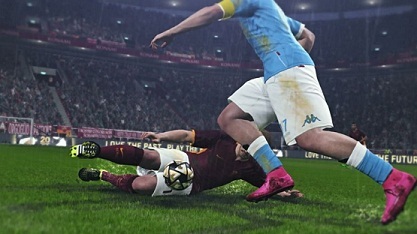 PES 2016 has dozens of players and, in addition to big names of the main leagues in the world, some "unknown" also complete the rosters of the game access divisions. We prepared a list of the ten worst midfield players in the simulator Konami. Passes and inaccurate kicking, physical disadvantaged, bad ball control and even generic attributes and copied from other players are some of the common problems of these players in the list. Worst half of the game, the young Frenchman has attributes at least suspects. Virtually all numbers are equal, indicating that Konami not devoted much time to evaluate the quality of the player. The Italian is no longer a boy, and depend on his attributes in PES 2016 should not have chances in large teams of international football. In addition to very slow, Jidayi is lousy kicker, and does not help to compose the defense. Able to act in a good variety of offensive positions, Boulaya is not exactly an expert in any of them. The difficulty trimmings long and short distance and lack of agility harm athlete. With over 1.90 tall, the Danish stands out for topping physique, but the presence is not enough to help a lot in his performance, which is very low both in attack and in defense. The player of Qatar to rehearse some dribbles, rare things for athletes that level, but in practice it will be tricky to get Yahya income enough to justify his escalation, since his other skills are poor. This is to highlight his short passes, but he is awful in every other basic fundamentals, especially in speed. Painfully slow and clumsy, Esser is not suitable for teams seeking rapid transition between attack and defense. Another example of the lack of Konami whim with players from minor leagues, the attribute of Smalun is an identical copy of Esser. Players are differentiated only by their look, which is also generic. Midfielder for Vitoria Guimaraes Portugal, the 22 old player’s biggest deficiency is the shots on goal, they rarely hit the target. His other skills are also not good and put him among the worst player in the game. Sole representative of the Brasileirão in the list, Anderson, the Sport Recife is the worst player of all leagues and call attention to the bad ball control and defensive inactivity that true open holes for the opposing team. The Chilean has only 17 years old and surprisingly well-balanced attributes. The great thing is that all numbers are very low, which makes the awful young in virtually all functions, including the most common.